Home / 2014 Christmas Made by Hand Show! 2014 Christmas Made by Hand Show! Yep, the big guy in the red suit is getting his arse in gear for his big trek in a few weeks! And this weekend is the perfect opportunity for you to check off everyone on your shopping list, in one fell swoop! 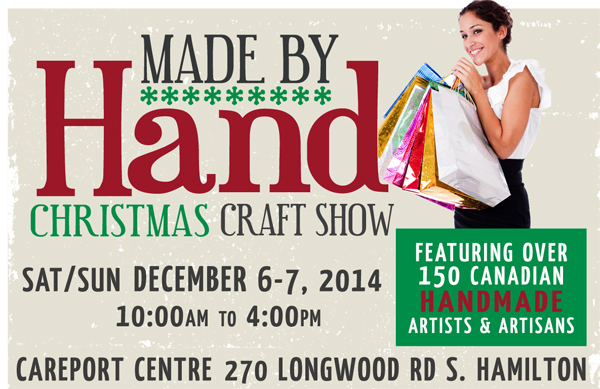 The 2014 Christmas Made by Hand Show will have over 150 Canadian artists, artisans, and designers on hand, with a little bit of something for everyone! It’s the perfect way to shop local, shop Canadian, and shop handmade! 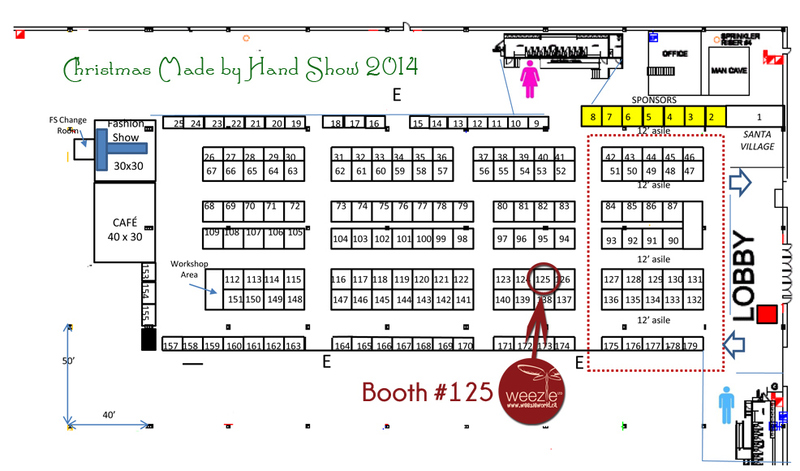 Weezie World will be there (booth #125) with tons of fantastic gift ideas, including: 2 for 1 wine charm sets, 3 for $20 earrings, a 3 for $10 clearance bin and tons more! Download your coupon for $1 off the price of admission! • Shop with over 150 Canadian artists, artisans and designers! ← 40% Off Cyber Monday Sale!